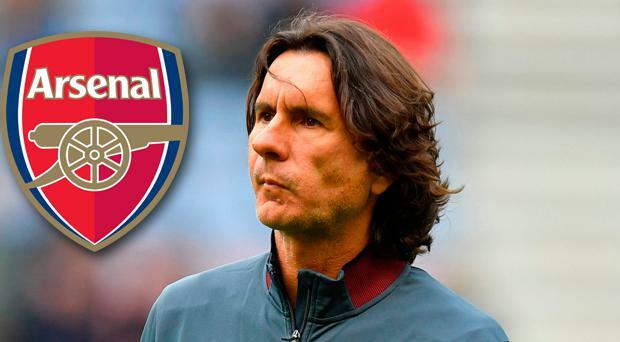 Arsenal are continuing to explore a range of younger head coach-style options to replace Arsene Wenger and do not simply want to be drawn into paying huge wages for one of the highest-profile candidates. With the structure surrounding the manager having already evolved and a transfer budget before sales this summer of around £50 million, the priority is a manager with the coaching track-record to bring out the best in the existing squad while also progressing the club’s younger players. Arsenal have not yet made any final decisions - and chief executive Ivan Gazidis is committed to a proper recruitment process - but Luis Enrique was reportedly on £16.5 million-a-year at Barcelona, almost double what Wenger is currently paid. Enrique might be prepared to accept a lower salary, but his likely wage expectations have already put off Chelsea and Arsenal are also considering other options. Former captains Mikel Arteta and Patrick Vieira, Monaco manager Leonardo Jardim, Juventus boss Max Allegri and Hoffenheim manager Julian Nagelsmann are also on Arsenal’s shortlist. Jurgen Klopp’s former Liverpool assistant Zeljko Buvac has been reported in Bosnia to be under consideration by Arsenal and could be an option as part of what will be a new coaching set-up, but he has not managed since 2001. He would be well-known to Arsenal’s new head of recruitment Sven Mislintat following their time together at Borussia Dortmund and is extremely highly regarded for his work on the training ground. Arsenal’s new head of football relations Raul Sanllehi worked closely with Enrique at Barcelona while Gazidis has a high regard for Arteta, who is currently Pep Guardiola’s assistant at Manchester City. Aaron Ramsey, Petr Cech and Danny Welbeck are all out of contract in 2019 and are expected to wait until the manager is appointed before making any final decision on potentially extending their deals. Jack Wilshere is out of contract in June and has so far refused the offer of a new deal. There will be other off-field changes, with fitness coach Tony Colbert, first-team coach Boro Primorac and goalkeeping coach Gerry Peyton all expected to leave. Club captain Per Mertesacker will head up the club’s academy and current assistant manager Steve Bould may also stay on.